While the Wii U won't be an instant flop like the Virtual Boy, sales projections released by Nintendo today show it probably won't match the runaway sales success of the original Wii, either. But Nintendo doesn't think it can keep that momentum up. 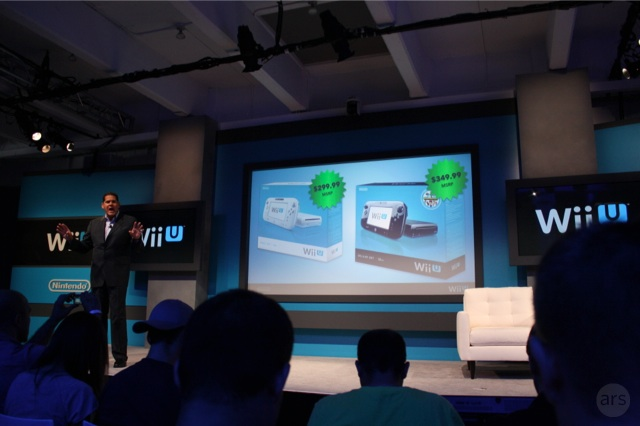 Back in October, the company said it expected to sell 5.5 million Wii U units through the end of March. That number has now been cut down to 4 million, meaning Nintendo expects to sell fewer than a million systems worldwide in the first three months of 2013. Nintendo today announced first-week sales of 400,000 Wii U systems in North America, falling short of the mark set by the first Wii, but surpassing early sales of previous high-definition systems. American corporate president Reggie Fils-Aime told CNet sales of the new system have been limited only by Nintendo's ability to get product to stores. "Retailers are also doing their best to get the product to store shelves, but as soon as product hits retail, they're selling out immediately," Fils-Aime said, gelling with reports from retailers like GameStop that explicitly noted in Black Friday ads that they had no hardware stock to sell. The original Wii sold over 600,000 units in the Americas in the eight days following its November 2006 launch, which also overlapped with Black Friday. Indeed, the Wii was nearly impossible to find on store shelves for months following launch, selling millions of systems in that time. 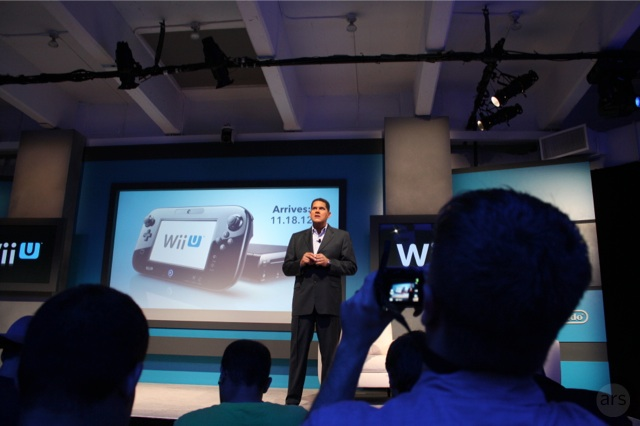 At a press event today in New York, Nintendo of America President Reggie Fils-Aime announced that the Wii U will launch in the United States on Sunday, November 18. 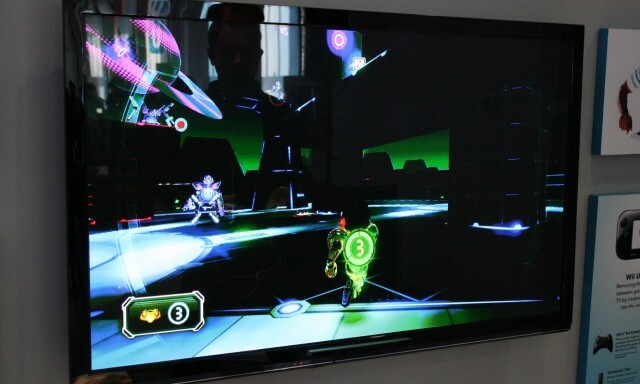 The system will come in two configurations: A white basic set at $299.99 that comes with 8GB on built-in memory, plus a Wii U GamePad, AC adapter, and HDMI cable. A black deluxe set, costing $349.99, will include everything in the basic bundle plus 32GB of total flash storage, a GamePad charging cradle, stands for the GamePad and console, and a copy of NintendoLand. The deluxe edition will also let users redeem points for every digital download purchased for the system. 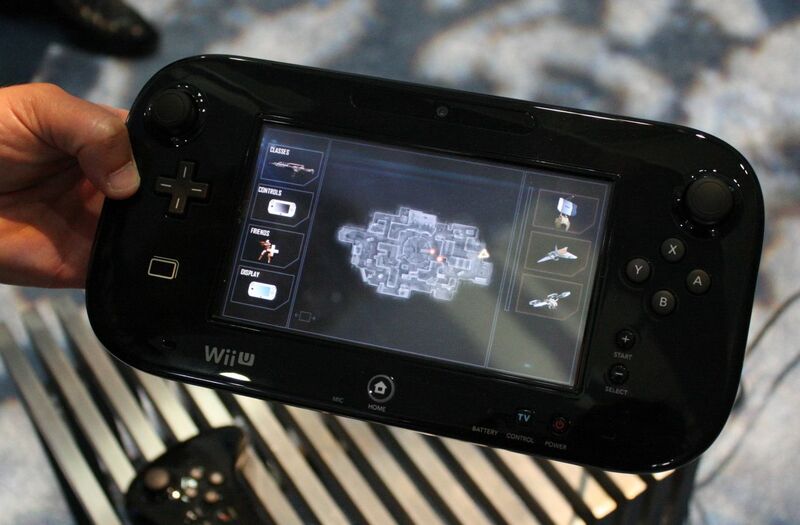 Neither configuration will include a Wii Remote or Nunchuk because, Fils-Aime said, "we don't want to require people repurchasing these accessories that they already own." The Tendo Project – Daily Nintendo News is powered by	WordPress 5.0.4 and delivered to you in 2.044 seconds using 46 queries.